The candidates appeared in the exams held earlier this year. Since then, they are waiting for the results to be declared. The results have been delayed and is much expected to come out today. The written examination took place in 2016 March. The exam for the first year was started on 2nd March and ended on 19th March while for the second years, the dates were from 3rd to 21st March. After writing the examination, the candidates have been waiting for the results to be released as soon as possible so that they can concentrate on further studies. The written exams took place in three parts as per the rules and regulations. Part-I had The English language; Part-II has the second language of the student’s choice, and Part-III consisted of their particular branch. The minimum qualifying criteria are to score at least 35% marks to pass. If the students didn’t manage to score a minimum of 35 percent then, they would have to appear in the supplementary examination because there is no other choice. 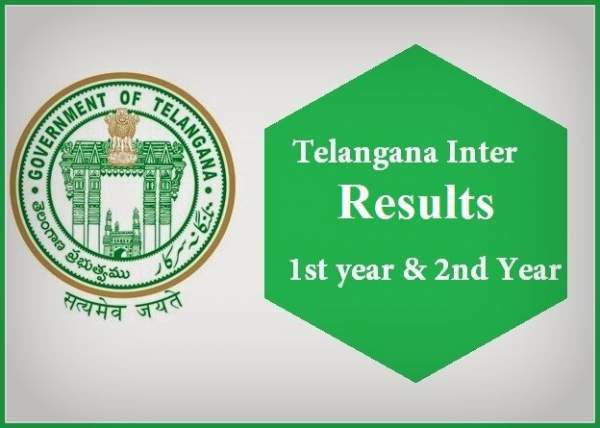 Earlier, the State Board of Telangana had announced that the results will be declared from April 21 to 23. It also mentioned that the process has been completed, and the result will come out at any time now. Thus, today’s date becomes the highly expected result declaration date for the intermediate examinations. The Eduction Minister of Telangana Guntakandla Jagadish Reddy said that it will come out at around 11 am. The website may get crashed as it may get unable to handle a load of visitors and students checking. Candidates belonging to all groups like MPC, BiPC, HEC, and CEC appeared in the examination as per their respective schedules across the various colleges and test centers in the Telangana state itself. All those students can reach out to their colleges to check the Telangana Inter Result by following the simple procedure mentioned below. Telangana State Secondary Board made an announcement that students will be able to get their results and marks via SMS too. They will just need to send a text message to individual numbers. Enter the roll number in the text msg and send it to the assigned board. After a while, they will send back the results. Till the official confirmation, students are advised to stay calm and don’t refer to any other fake rumors. There always have been students who can’t keep calm and wait for the official information is released. Go to the official website of the board. Look for “TS Inter Results 2016” section for several years. Enter the required important details like roll number and date of birth, etc. Results will appear in the new tab. Take a printout or save it to your device for your future reference. Last year, the pass percentage of intermediate 1st-year students was 69.5 percent in 2015, and it will increase this year for sure. Out of 2,54,258 girls, 72.04 percent passed while boys’ pass percent was only 67 percent. The number of overall students and specifically boys and girls have also increased. The Reporter Times wishes all the students all the best for their TS Inter 1st Year Result 2016 and TS Inter 2nd Year Results 2016. Don’t forget to share it on social media sites to let your friends and other students know. Feel free to drop a comment if you have any question or problem.